Home Books The Hive’s Cover Is Here! 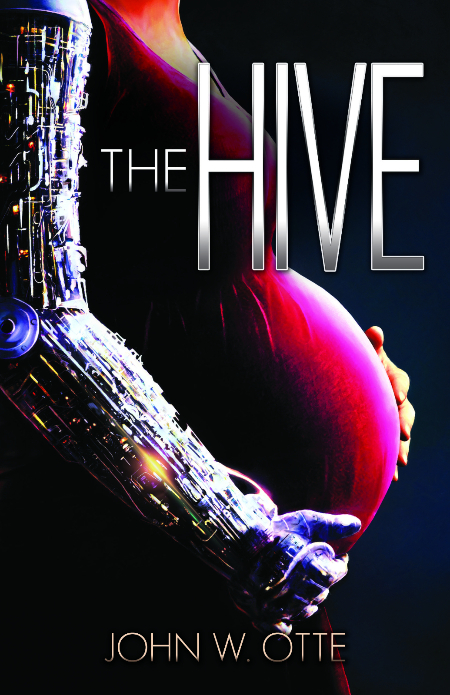 The Hive’s Cover Is Here! Okay, I’ve been sitting on this one for a while. Actually, I’ve known what this was going to look like for a while now. But yesterday, my publisher (Enclave Publishing) sent out a teaser e-mail with the cover art for my next book, namely The Hive. Since the cat’s outta the bag, I gots to share it too! Actually, I’ve been wanting to share this one for a while now. Back…oh, I don’t know, it was like a year ago or something like that… Anyway, at one point, I got into an e-mail back-and-forth with my publisher, the redoubtable Steve Laube, and we got to talking about my next project. And I kind of, sort of told him about this book I had in my top drawer. It was a pseudo-sequel to Numb, I explained, and I told him about the plot. And he liked it. He liked it so much that he came up with the image you see to the left here almost immediately. The only other thing I think I can say right now about this book is that yes, this is my infamous “pregnant teenage cyborg” novel. But I think that’s all I can reveal about it right now. So I’ll ask you. Based on this image, what do you think the book is about? Let me know in the comments. And keep your eyes open! More details will be arriving in the coming months! I think we’re waiting until after the summer books come out (in a few weeks) before the fall books will start popping up around the web some more. At least, I think that’s how it’s working.